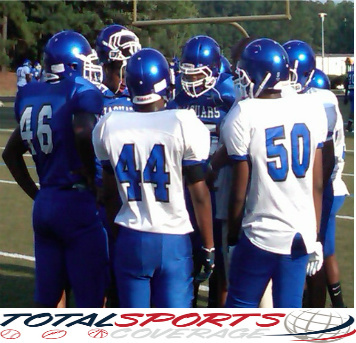 The Grayson Rams and the Walton Raiders both entered the contest without a loss on their record sitting at 14-0. Grayson has been the dominant force many thought it would be but were still searching for the schools first ever state championship. Walton on the other hand is looking not only for its first state championship, but Cobb County’s first ever-Marietta, located in Cobb County won the state title in 1967 but is a city school. Robert Nkemdiche of Grayson and Tyren Jones of Walton headline rosters that a chalk full of talent which is guided by veteran coaches in Mickey Conn of Grayson and Rocky Hildago of Walton. Grayson them comes back strikes a Nick Schuessler 55-yard bomb to Callen Hightower right down the middle for a TD 17-0 Grayson off of play-action. “That’s when the momentum really turned for us, we saw them creeping up and Coach Conn made a good call and we just threw it over them” Schuessler said. Ryan Carter’s 68-yard punt return to the Walton eleven would set up the Rams next score. Following Carter’s excellent return, Schuessler (3-3 108yds 2TD in the first half) found Hightower again in the back of the end zone for a touchdown and a healthy 24-0 halftime lead. Tyren Jones had 8 carries and 1-yard in the 1st half for Walton. The second half was the teams trading punts and Grayson’s defense continuing to do what it has done all season to make play after play while the offense chewed the clock via the ground game. Walton-who came in averaging 37.3 points per game, would only visit the red zone once and it came late in the fourth quarter when Tyren Jones made a jersey change an broke a 50+yard run yet the possession ended with a fumble on fourth and short. 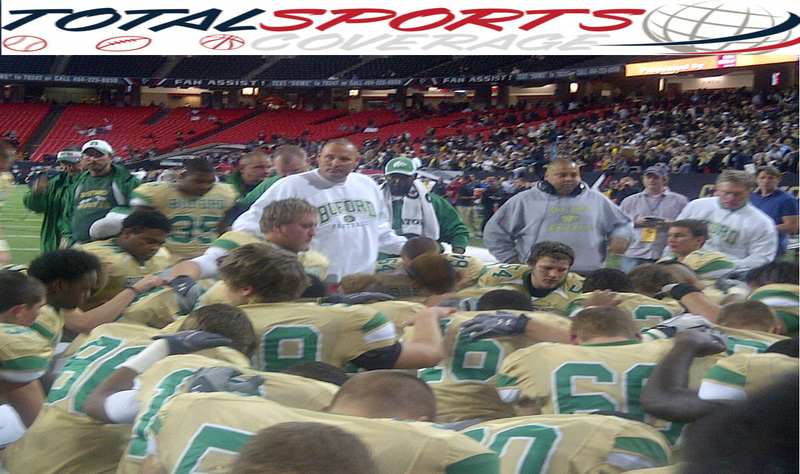 Grayson recovered and preserved their fifth shutout of the season. 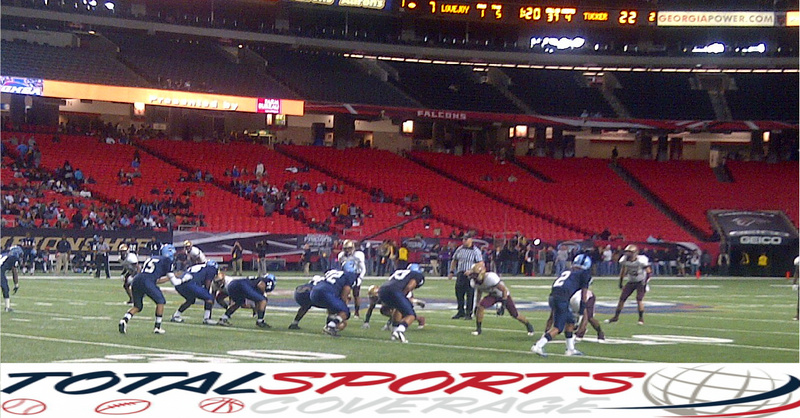 Nkemdiche broke off a final run and it was victory formation time for the Rams of Grayson. 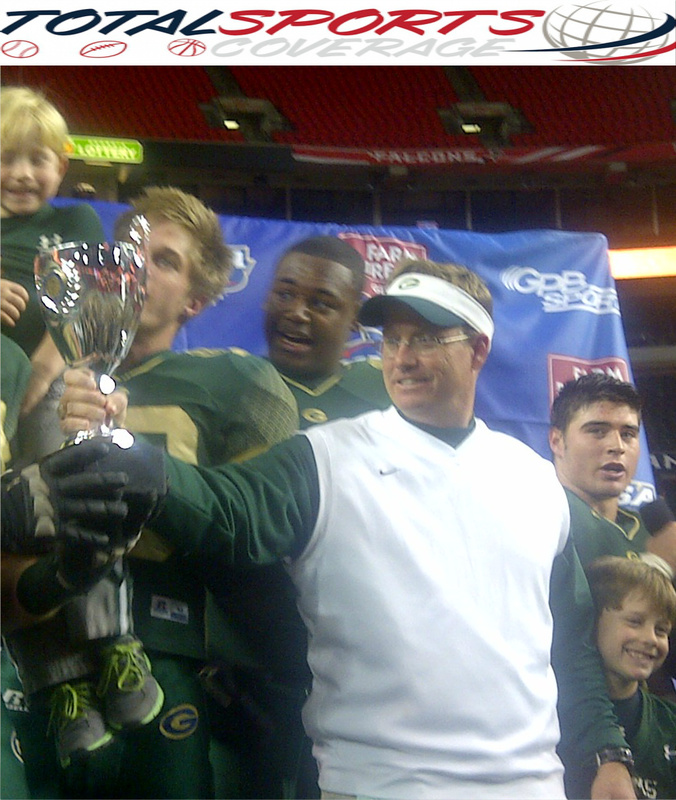 Grayson as a program won their 100th games which was also head coaches 100th victory, all with Grayson as he has been the only coach in the schools history. Conn can smile even more when he looks at his roster to see that nine of the eleven starters will be returning next season including the highly touted Nkemdiche to anchor the DLine. Grayson ended the season ranked No. 4 in the Rivals High Top 100 with a lot of “Uncle Mo” going into 2012 which means they will stay in the national spot light. 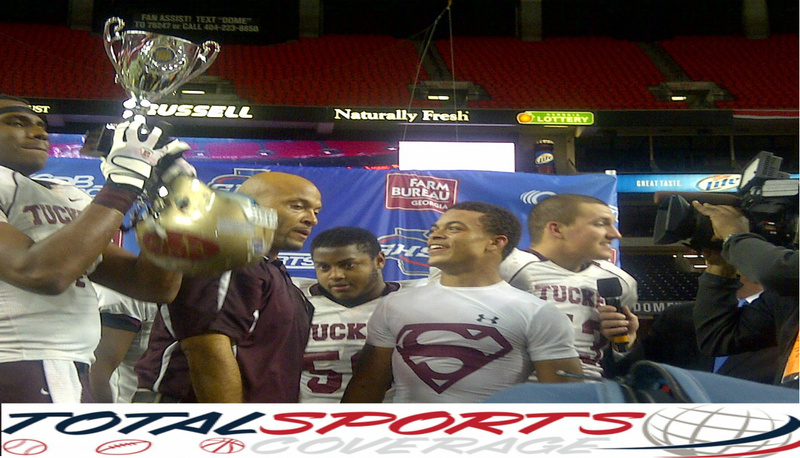 Fitting for a squad that plays in Georgia, the number one state for high school football according to Rivals High and we agree.